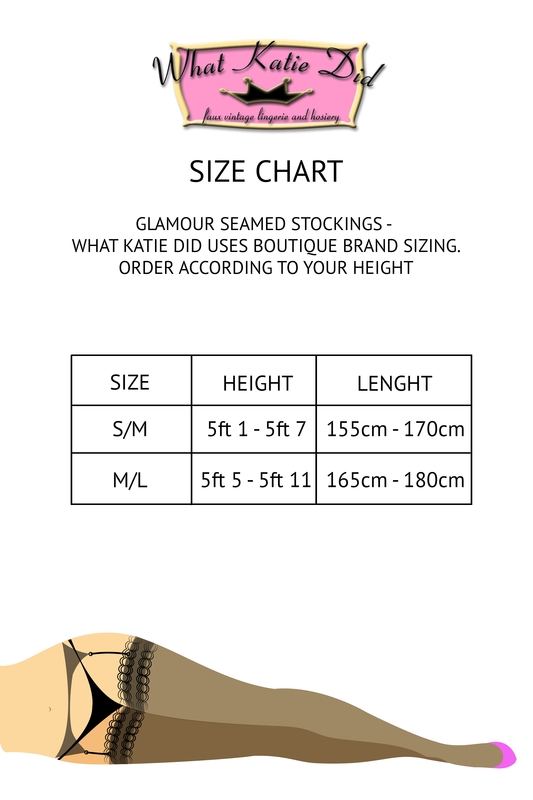 These are one of What Katie Did most popular styles, champagne with black seam stockings are authentically vintage. Their generous welt is perfect for curvy thighs and being neutral disguises any hitches just in case those perfectly polished nails create a snag! Store worn nylons in an old pillowcase so they don’t get snagged in your laundry basket. Once a week swish them around in warm water and a little detergent and hang up to dry by the toes! Love the look? Check out the Seamed Stockings Latte Glamour by What Katie Did!